The man who was once so obsessed with Jodi Foster that he attempted to assassinate President Ronald Reagan has been released. 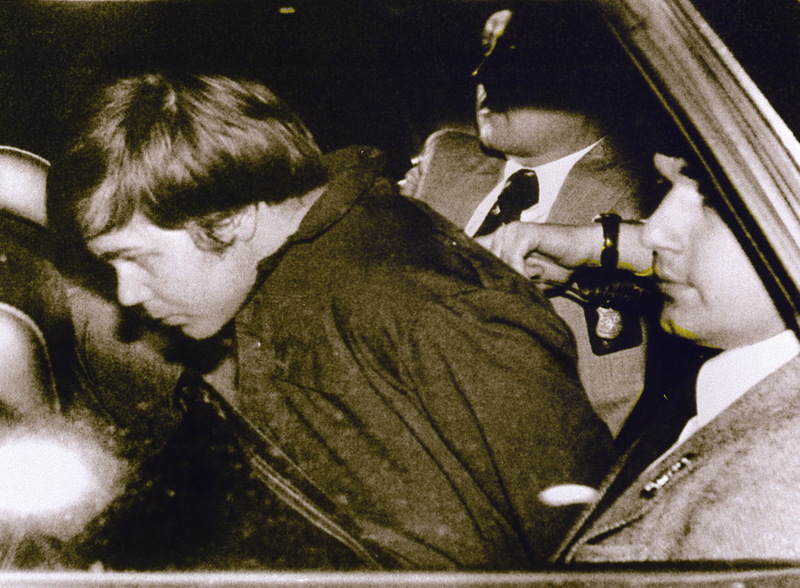 John Hinckley Jr. was released from St. Elizabeth's Hospital on Saturday, Sept. 10, almost 35 years after that near-fatal attack on Reagan, his press secretary, and security officers. Although Hinckley Jr. was once considered "a profoundly troubled" young man, a federal judge ruled that he is now eligible to return to society without posing a danger to himself or others. On March 30, 1981, Hinckley Jr., then 25 years old and spiraling into psychosis, waited for Reagan in a small crowd outside the Washington Hilton Hotel. As the president walked to his limousine and waved to admirers, Hinckley Jr. fired six shots at the president and his entourage, injuring Reagan and two security officers, and severely wounding press secretary James Brady. Hinckley Jr. was found not guilty by reason of insanity, and sent to St. Elizabeth's Hospital. In July, Judge Paul L. Friedman of the United States District Court for the District of Columbia, ruled that Hinckley Jr. was "clinically ready for full-time convalescent leave and... will not be a danger to himself or others." Friedman added in his opinion that after three decades in the psychiatric institution, Hinckley Jr. has been fully rehabilitated and no longer exhibited any signs of clinical depression or psychotic disorder. Hinckley Jr. last attempted suicide in 1983, and his major depression has been "in full and sustained remission for well over twenty years," according to court documents. The district court's ruling came more than a year after the evidentiary hearing, which included expert testimony and an analysis of Hinckley's full medical records. "In the view of most of the experts who testified before this Court, Mr. Hinckley has by now received the maximum benefits possible in an in-patient setting," Friedman wrote in his opinion. The motive behind the assassination attempt still remains of the strangest news stories of the 1980s. Hinckley Jr. had confessed that he planned the assassination to attract the attention of actress Foster, who starred, as a teenager, in the 1976 film Taxi Driver. Hinckley Jr. reportedly became fixated with the film's protagonist, Travis Bickle, an unstable loner who also dreams of killing the president. At first, Hinckley Jr. tried to assassinate President Jimmy Carter in 1980, but his attempt was thwarted. As he stalked Carter, he also stalked Foster, traveling to her dormitory at Yale University in New Haven to leave her notes and frequently calling her. Once Reagan became president in 1980, Hinckley Jr. began stalking him. On March 30, 1981, Hinckley Jr. wrote a letter to Foster describing his desire to assassinate Reagan. Later that day, he tried to. Friedman described the young Hinckley Jr. in his opinion as "a profoundly troubled twenty-five-year-old young man suffering from active and acute psychosis and major depression." But now, at 61 years of age, Hinckley Jr. is suffering from high blood pressure and "various other physical ailments like many men his age," Friedman wrote. And his mental condition is far from what it was in the late 1970s and early '80s. Hinckley Jr. will be living full-time with his elderly mother at her home in Williamsburg, Virgina. The district court ruled that living with his mother there will help with "integration into the Williamsburg community and his efforts to obtain paid employment."